Sydney Shop Girl: Fauxpard Triumphs Over Leopard. 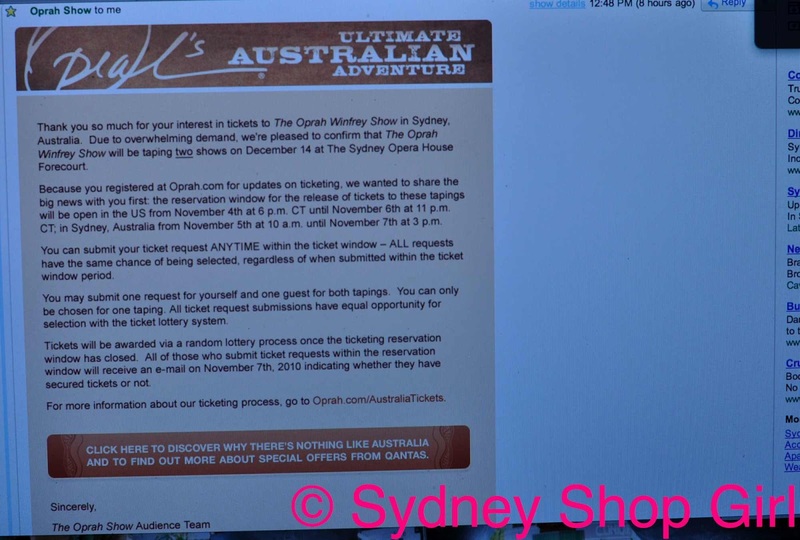 The Oprah Ticket Window Is Open. Chicken Sandwiches At Coles. Fauxpard Triumphs Over Leopard. The Oprah Ticket Window Is Open. Chicken Sandwiches At Coles. Fridays can't come soon enough. They are always the justification for injecting a little excitement into your work outfit. 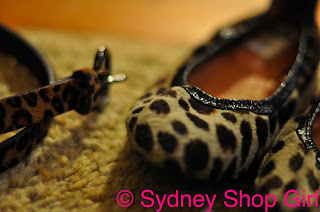 Due to the excessive rain in Sydney today, I had to defer my planned debut of The Leopard Lanvin flats. Instead, I wore by Fauxpard belt from GAP. Tokyo not Sydney. As mentioned in my Westfield Pitt Street post, our local GAP is embracing winter like nobody's business. Perhaps the weather took its cue from this because it's been bleak and wintery for the better part of this week and apparently, this whole weekend. 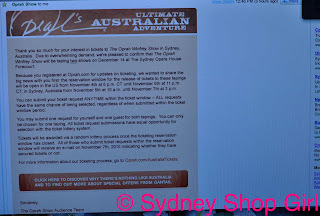 Before I forget, it's time to register your interest in tickets for the two Oprah tapings in Sydney on Tuesday December 14, 2010. There will be a morning session from 8am until 12 noon and then the evening taping from 3pm until 7pm if I remember correctly. If you go to Oprah's website, there's a whole list of important facts about how things will be run on the day. Good luck and I hope we all get tickets. Married life is generally a comfortable arrangement for all involved. Take Friday evenings for example. There was no dressing up for a fancy night on the tiles for the SSGs. Instead, there was great excitement when I realized that I had timed my arrival at the supermarket for the weekly shop with Mr SSG's getting off his bus at the same supermarket. So there we were, Mr SSG in his suit and myself in my fauxpard accented casual Friday outfit. Coles had perhaps sensed the enormity of the occasion because there was this sign at the entry, just above the basket stack and in front of the rotisserie chickens (at least that's how it is in Coles Gladesville). 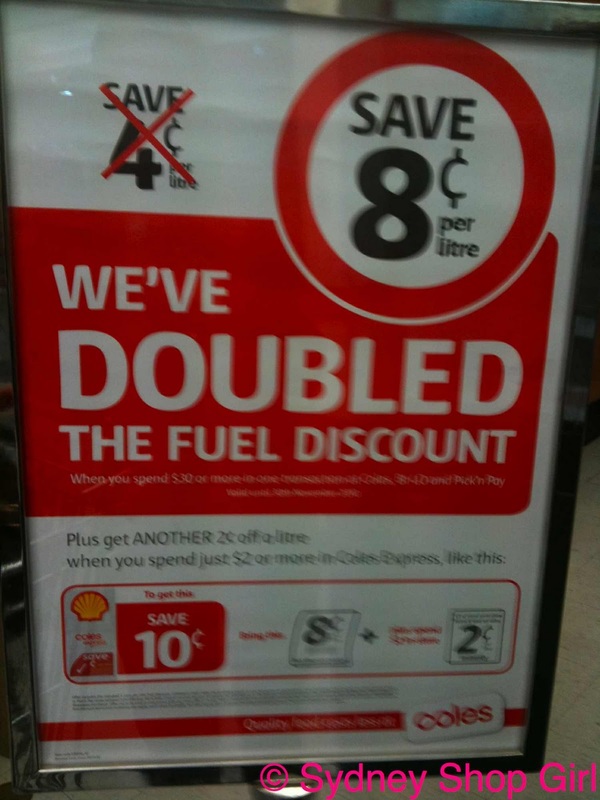 Yes readers, we can now get back 8 cents for every litre of petrol at Shell. 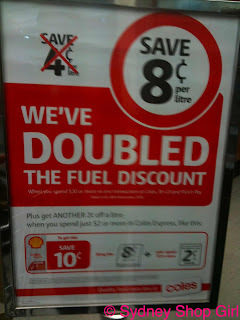 Is this Coles' way of helping balance the household budget in the wake of the interest rate rise? You heard it here first. Mr SSG and I mulled over this news with a couple of rotisserie chicken and mayo sandwiches, again courtesy of Coles. They were comfortingly old school - by virtue of the absence of any lettuce, cos or otherwise. I don't really know what I'm going to do this weekend. It's been quite a tense week for me and it has ended well. The interview yesterday was a great success. I am incredibly relieved. I will be gainfully employed next year in what I think will be the right role for me. I'm excited and will definitely celebrate with a fancy night out with Mr SSG but perhaps not this weekend. This weekend is going to be a quiet one to take stock and be thankful. Glad the interview went well. Will be soooooooo jealous if you get tickets to see the Oprah taping. I'm a huge fan and its one of my secret dreams to meet her. Lanvin and leopard print - can it get any better?? I love an injection of leopard or zebra to lift an outfit sometimes. I hope you both enjoy a relaxing weekend! Any ideas on where you guys will be taking part in your fancy soiree?? Big congratulations on the interview going so well. I hope it is the perfect job. I am presuming it is your first job as a "boss" and am really thrilled for you. I would love to say it was the "pufflinks" that did it but am sure it was all you. Well done. Enjoy your peaceful weekend, I quite understand the need to hold off on the celebrations and take stock. AFW: yep, a "boss" job. Bit nervewracking to be honest.